A couple days ago, the list of the 10 final nominees for induction to the Poker Hall of Fame was published. There are four repeat nominees this year (John Juanda, Tom McEvoy, Jennifer Harman, Scotty Nguyen) and six first-time nominees (George Hardie, Brian “Sailor” Roberts, Chris Bjorin, Eric Drache, David Chiu, Thor Hansen). In the past couple of years, we’ve written about the latest inductees, Barry Greenstein and Linda Johnson (2011) and Erik Seidel and Dan Harrington (2010), so if any of the nominees end up getting inducted, we’ll naturally be doing another write-up. 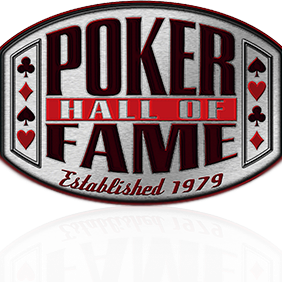 News, names, and inductions aside, however, we think that it’s high time for a proper Poker Hall of Fame to be built. What Does It Mean to Get Inducted? Election to the Poker Hall of Fame is considered to be one of the biggest honors in the game. As many of you know, while public nominations are accepted, to be eligible for enshrinement nominees must fulfill a number of strict criteria. Wikipedia has a great page with details about Poker Hall of Fame and its 42 current members. 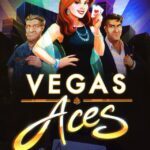 Owned by Caesars Entertainment, all Poker Hall of Fame matters are handled exclusively by the people who run the World Series of Poker. 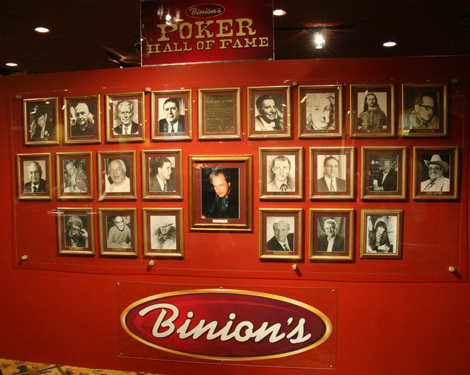 Currently, the official “home” of the Hall of Fame is at Binion’s in downtown Las Vegas; the original home of the WSOP. There, a dedicated wall displays pictures of all Hall of Famers, dating back to Johnny Moss and the other six initial members who were inducted back in 1979. 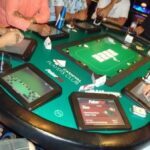 Ironically, the Poker Hall of Fame at Binion’s was originally conceived not just to honor the achievements of the game’s greatest players and proponents, but also to serve as a tourist attraction. I’ve been to Binion’s and I’ve seen the wall. Buried in the bowels of an aging downtown Las Vegas relic, however, I’ve got to say that as a poker fan I was both very unimpressed and disappointed. Like Sports and Music or Professional Wrestling? The head honchos over at the WSOP need to decide what sort of character they want the game’s Hall of Fame to have. Currently, it most resembles WWE’s professional wrestling Hall of Fame, which essentially exists online, “in people’s minds and hearts”, and in yearly induction ceremonies. Perhaps that type of Hall of Fame is apropos for what essentially boils down to lifetime achievement awards for excellent service to a private entertainment company. Real-world achievements in public arenas like sports and music, however, arguably deserve better. When there’s an actual shrine to visit, it elevates those enshrined that much more. Famous Halls of Fame like in Cooperstown (baseball), Cleveland (rock and roll), Canton (football), and Nashville (country music) get millions upon millions of visitors each year and for good reason. Fans of those enshrined make pilgrimages to these edifices in order to pay tribute to their heroes and the greats of sports and music who have inspired and influenced them. 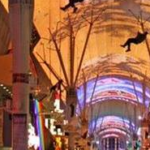 We call upon the WSOP to build a permanent home for the Poker Hall of Fame in Las Vegas at the Rio. The game of poker has so much to gain from the creation of a bona fide Hall of Fame tourist attraction. Hold the annual ceremonies there and collect memorabilia from current members, who will likely be all too happy to contribute their time and effort. Put up plaques, showcase video footage, mention it during WSOP broadcasts – we’re talking about something very highly marketable here. 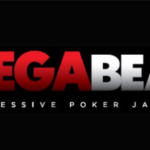 Give us tens of millions of poker fans worldwide another reason to want to come to Las Vegas. I dare say go ahead and even charge us $1 admission (payable by poker chip – how’s that for unique and innovative?) to keep the hall open 24/7 (another first) and ensure that it’ll be a moneymaker (“you know who” would be a great front man to promote it…).